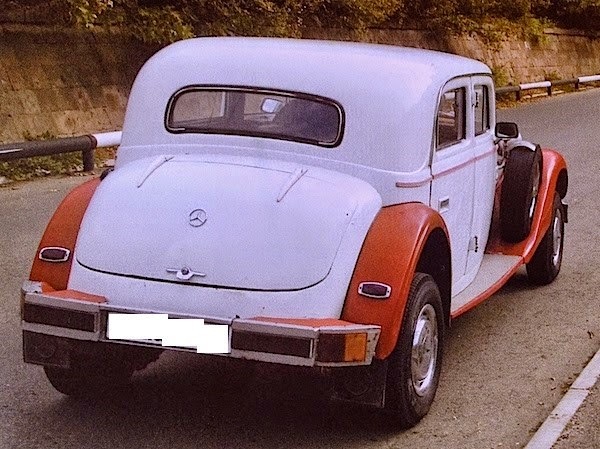 It is obvious that our today’s hero belongs to the family of Mercedes-Benz, but I find it rather difficult to make a deduction exactly which model it is. 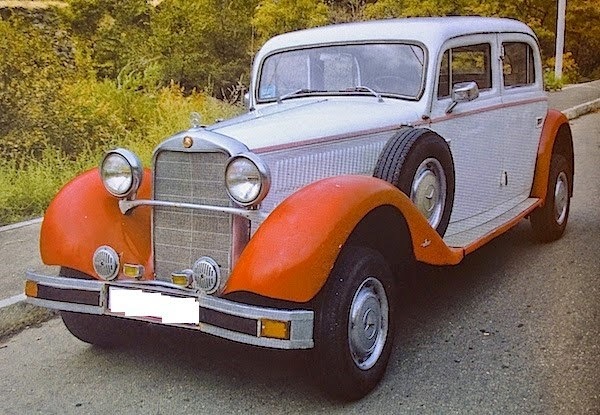 The exact year of production of this "mysterious" Mercedes is unknown. The owner offered his version, but, having carefully examined the car, I couldn’t come to a certain conclusion on the production year. At first glance, our hero bears a strong resemblance to Mercedes-Benz 200 W21, which was first introduced at Berlin Motor Show in 1933, but at the same time, it also bears external resemblance to 260D model, which was also introduced at the same motor show as the first passenger vehicle with a diesel engine in 1936. I also learned that the 200 W21, in spite of being produced in large quantities (15622 samples), didn’t play a major role in the history of the German car manufacturer. As for the D260, it was a “trailblazer” in the world of automotive industry. In the mid-thirties of the last century, not many people believed in the success of passenger cars with diesel engines, but time has shown quite the reverse- every second vehicle runs on diesel fuel nowadays. 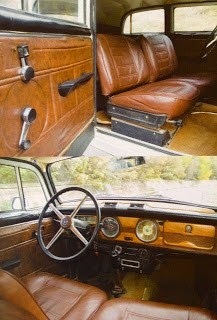 When I found out that the first diesel engine car was built on the chassis of the 230 model, which was subsequently built on the chassis of the 200, I only then understood the reason of the similarity between our unknown Mercedes, the 200 W21 and the 260D. The 200 W21 was the most affordable and fuel-efficient car of its time, and the 230 was the petrol engine modification of the 200 W21. 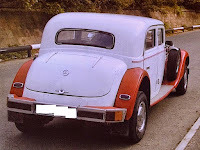 It is impossible to even guess which engine the car was equipped with, diesel or petrol, since it underwent not only numerous external changes, but also external. There is nothing left from the original chassis either. One thing for sure, this car belongs to the family of Mercedes-Benz, the members of which have always been the tops.